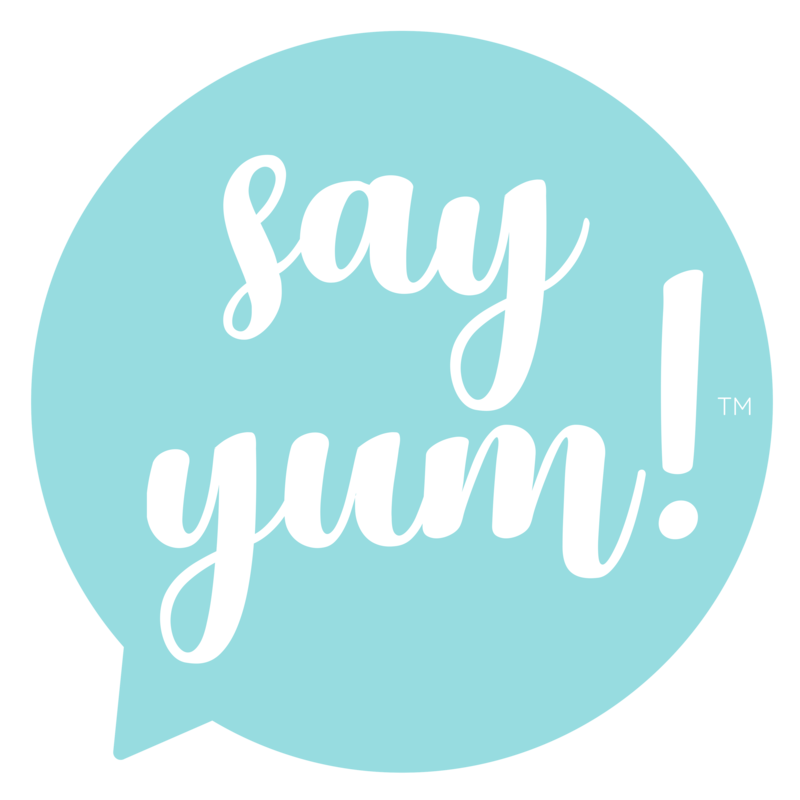 After discovering that today was in fact dedicated to that ooey, gooey, crispy perfection of a sandwich, it seemed like the perfect time to reveal my review of a product I recently tested. Thanks to one of my favorite cooking shows, The Kitchen, I purchased a package of toaster bags from amazon to try out. 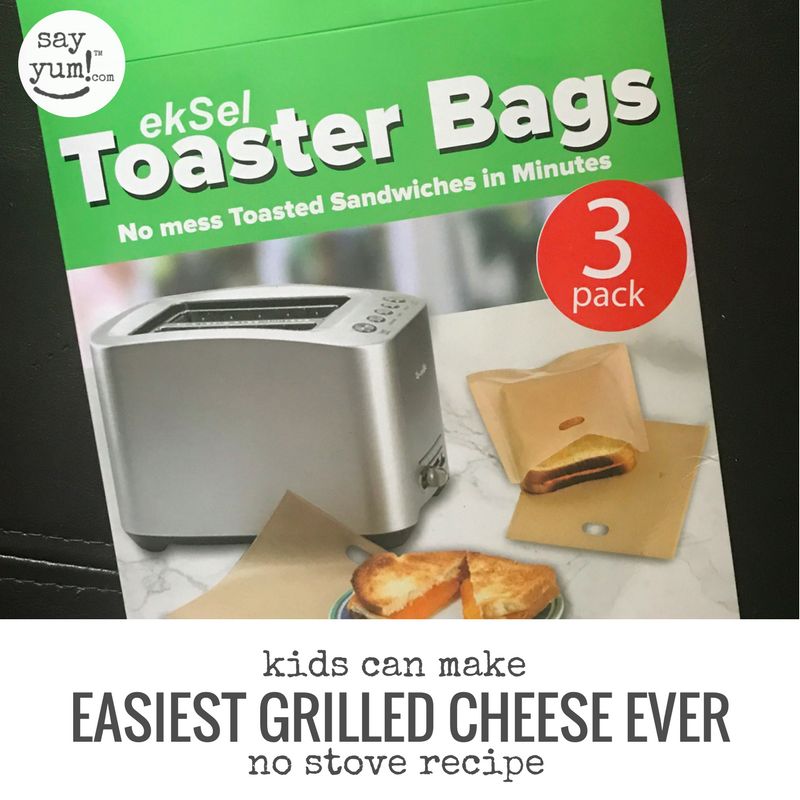 They truly are the easiest way to make grilled cheese ever. 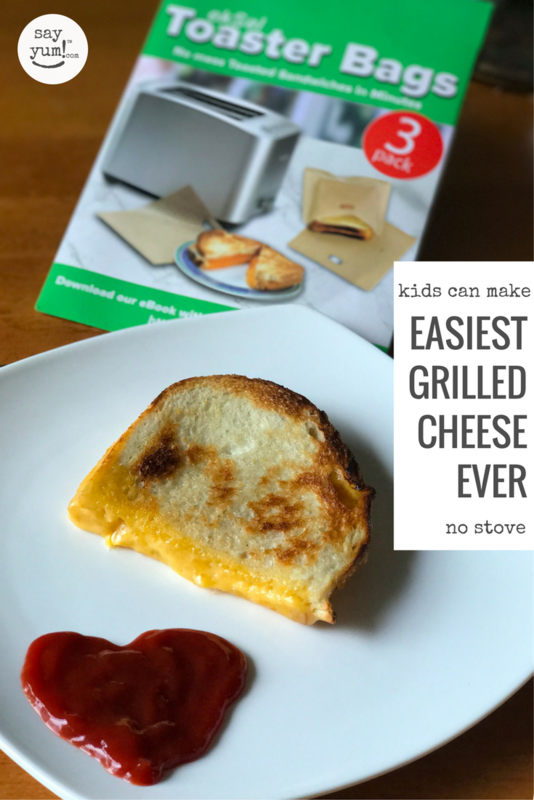 Who couldn’t resist the idea of kids being able to make their own grilled cheese and not having to turn on their stove, especially during the throws of summer? I approached this product cautiously and really questioned if a toaster could deliver the same crunch factor as the traditional stovetop method. It was a small investment at $9 for a package of 3, so I felt good about taking a gamble and was blown away. I make my grilled cheese with light mayo applied to the outside of the bread instead of butter or regular mayo. Though the first ingredient is water, and you might think it would steam the sandwich, it doesn’t. Instead it somehow pulls off a pan-perfect crunch. This tradeoff makes me feel better about the melty, creamy sharp cheddar oozing out of my crispy sourdough bread. Although when I purchased these only a few weeks ago, they had packages of 3, it seems like now they have them sold in bundles of 6. That certainly would help if you had a large toaster and wanted to feed a hungry mob quickly. Mine only has room for 2, so the 3-pack works just fine. 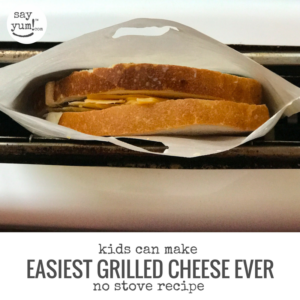 Cooking the grilled cheese is super simple. After assembling your sandwich, put it in the bag, and drop it into the toaster. I use the lowest setting on mine, which results in me dropping it four to five times. The only down side was after a couple of uses, one of the bags began to form a hole at the bottom. Perhaps I was too rough when I cleaned it. I still have two in perfect working order. So unless those fail sometime in the near future, I’d consider my failure due to user error. 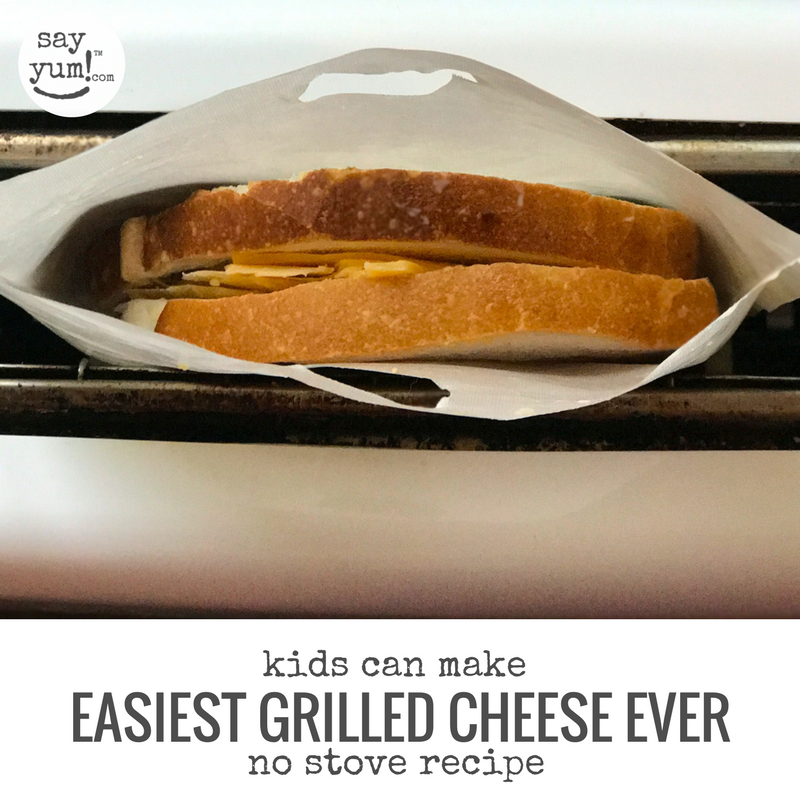 You really can’t beat the fact that your kids can make themselves a sandwich without turning on the stove. 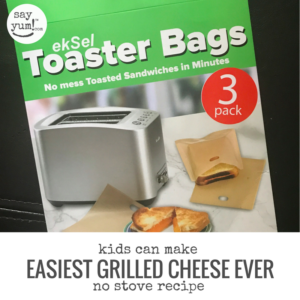 For beginner cooks and efficiency-minded ones like myself, it really is the easiest way to make grilled cheese. 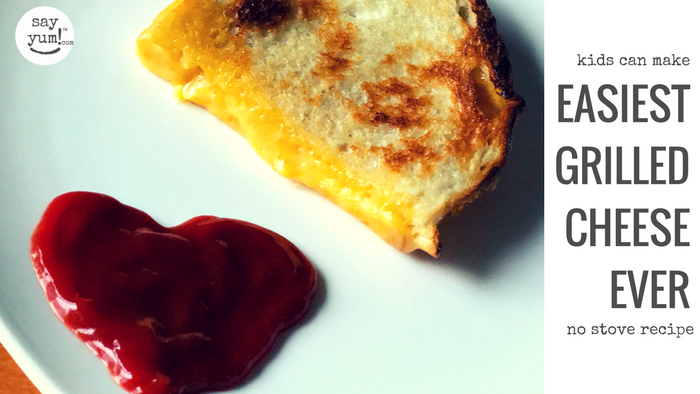 A pan-perfectly crispy crust on this ooey, gooey grilled cheese without the dirty dishes or stove. 1.5 oz of thinly sliced sharp cheddar. Apply a thin layer of light mayo to the outside of both slices of bread. Layer cheese on one slice and top with the other when done. Place sandwich into toaster bag and drop into toaster on low. Repeat as many times as necessary to achieve GBD - golden brown deliciousness. In my toaster, I drop the sandwich about 4-5 times before it's crispy to my liking.